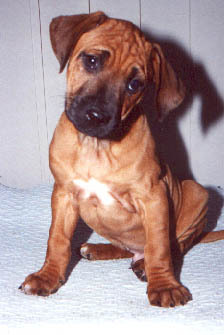 Yeelanna Kennels has over fifteen years experience with the Rhodesian Ridgeback Breed, and has a proud record of success and achievement in terms of breeding, showing, obedience training, racing, and in the field. Yeelanna Kennels operates on a small scale, with most litters being selectively line bred for consistent quality and type, intending to assure the continued improvement of the Rhodesian Ridgeback breed. Yeelanna puppies make loving and affectionate members of the family, and develop into excellent watch dogs to protect your family and property. Yeelanna Kennels seeks quality homes and responsible owners who will provide the loving care and attention a baby puppy needs. PUPPIES CURRENTLY AVAILABLE IN ADELAIDE ! ! !